I don’t differentiate too much between the plays I write and the other types of stories I consume, regardless of their form. That is why my ideal play, that I haven’t written yet, uses narrative elements, filmic structures, strong brush strokes and musicality in building a self-sufficient world that is, at the same time, familiar and unique. I take my subjects from reality, from things that stir up my curiosity and allow me to explore those themes that interest me in my own life: social pressure, discrimination, media/pop culture influence on our perception of the world, the necessity of fantasy in our daily lives, our relation with time and fear of death. Alexa Băcanu is a playwright and cultural manager based in Cluj-Napoca, Romania. Beginning with 2009, she has written plays that have been staged in both independent and state theatres, and have been published in cultural magazines and anthology volumes. She has worked as a dramaturge at the Turda Municipal Theatre between 2009-2011 and as a PR Representative at the Craiova National Theatre between 2011-2013. From 2014 she started working with Reactor, a multi-purpose cultural space and independent theatre in Cluj-Napoca, Transylvania. Depending on the project, she is a project manager, PR specialist or playwright. As a cultural operator, she is interested in developing projects concerning contemporary dramaturgy and offering means of expression for young theatre professionals. As a playwright, she is interested in experimenting with structure and narrative and looks for subjects that are rooted in reality, but offer room for fantasy. 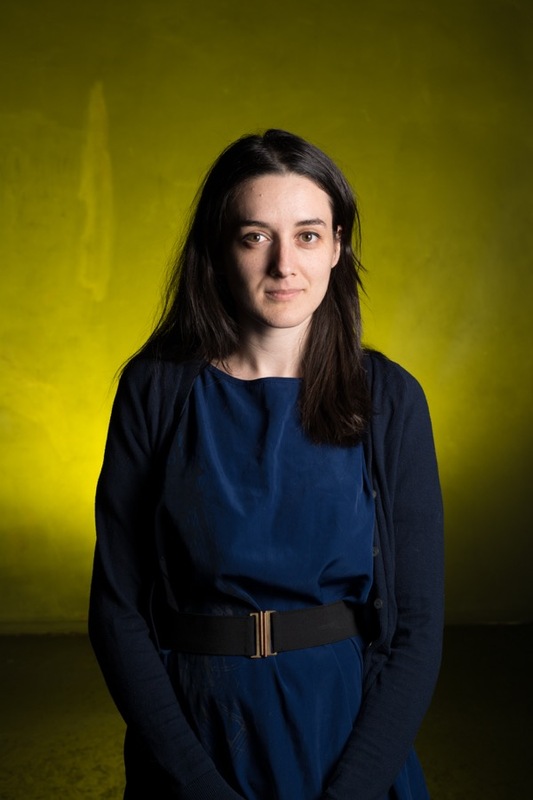 Her latest staged works include Neverland (at the 3G independent theatre in Târgu Mureș, director: Leta Popescu), M.I.S.A.PĂRUT/MoSIAnderstanding (Reactor, Cluj-Napoca, director: Dragoș Mușoiu), S.ocietate cu R.ăspundere L.imitată/L.imited T.ransparency D.emographics (collective creation at the Paintbrush Factory, producer: Colectiv A, director: Florin Caracala), Bucharest 41 Tour-Retour (collective creation, Jewish State Theatre, Bucharest, director: Alexandru Berceanu), Call it art! (National Theatre Cluj-Napoca, director: Leta Popescu). The starting point of MoSIAnderstanding is the media scandal involving the Movement for Spiritual Integration into the Absolute (MoSIA) yoga school a decade ago in Romania. In 2004, following a history of denigrating press articles dating back to the 90s, a search through the common houses of the yogis has been presented as ”the greatest operation against organized crime in post-revolutionary Romania”. How many of the accusations that circulated then could be proved and what were their consequences on the lives of the yoga practitioners that were carried away by masked fighters in the open view of the entire country? 13 years later, the scandal has settled, but the stigma still persists. Everyone has an opinion about MoSIA, about what happens there behind closed doors, and these opinions are almost entirely results of the way things were presented in the media. But what is their story: who are those people who defy a whole nation through their life style choices? From the extremely complex story of MoSIA, the play mainly focuses on the most personal aspects, on the way the scandal affected the people who practiced yoga at the school, especially a young woman who was forcefully hospitalized in a mental asylum because of her association with the yoga movement. Finally, instead of conclusions, there are mainly questions: what is normal? How dangerous is a press searching for scandal at any cost? What is our inheritance in attitude and thinking left from the communist regime? How much value do we place on individual freedom versus tradition? What happens when morality is mistaken for law? Three women and a man meet the day of each of their marriage. The wedding becomes an essential moment in time, but not in the classic way. What can happen to a party where none of them feels in the ninth heaven? Neverland follows the four characters during the most important moments of their lives, whether it’s enormous losses or days when the sun seems to shine differently. Kinga, Rada, Andreea and Fabian want to lead normal lives even with the risk of becoming banal or unnatural. What does the insistence of fitting social patterns lead to and what is it that we really dream about? The play is an invitation to look for that freedom to which we seldom forget to return to.